Shiraz is the only Jolly Mon daughter we kept. We love her dam. 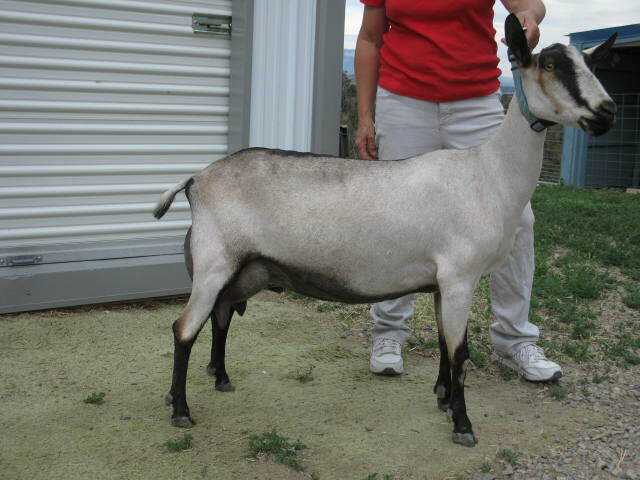 We have sold some real nice mature goats in the past few years, trying to get our numbers down from 55 mature animals. I had to keep one Jolly Mon daughter to keep his genetics here. Shiraz is not a tall doe, but she is nice and wide. 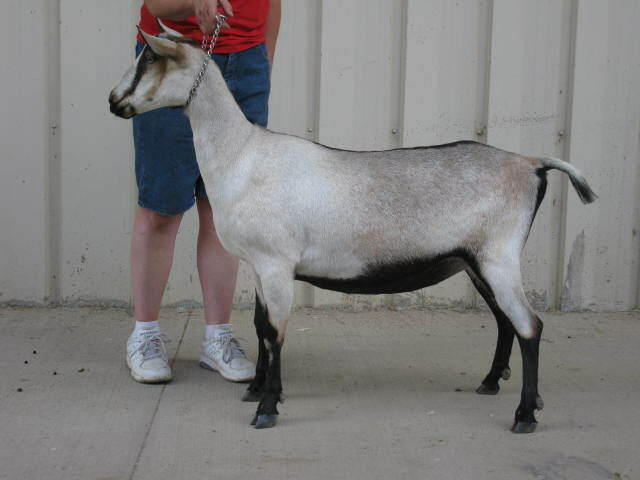 She is wide between the hocks and she has a nice high wide escutcheon. She has a nice deep body with width of the chest floor. Being a little on the heavy side, she is rounded at the crops. 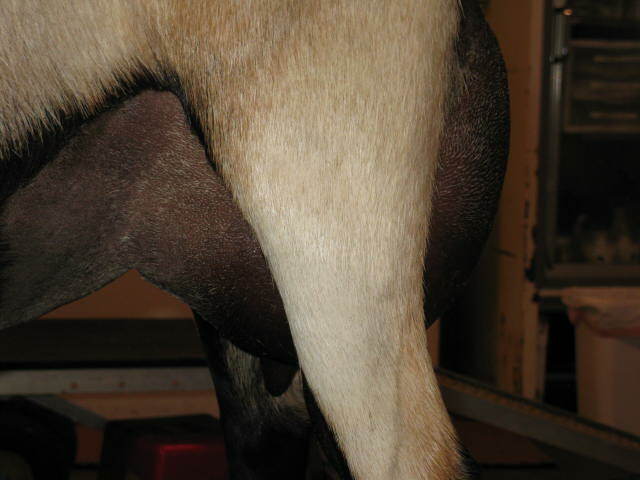 She picked up her dam's strength of bone and she is a nice flat ribbed & open doe. 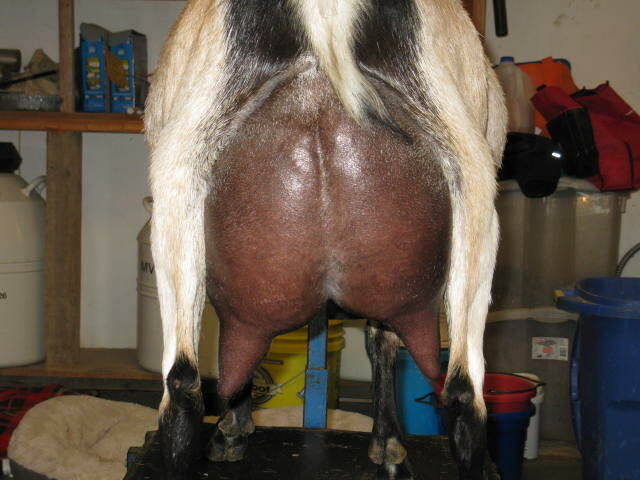 Shiraz is a great milker with a very well attached and ideal mammary, with a smooth extended fore udder and a nice wide rear udder. She is an easy hand milker. This doe is smart. She is so quick and pays attention to everything. You can't get anything buy her. We love her this.